In the heart of the North Shore’s desirable Lower Lonsdale waterfront district you’ll find West Quay, Polygon‘s latest collection of North Vancouver condos offering a balanced lifestyle and breathtaking views of the city, water and mountain. This limited collection of one-, two- and three-bedroom residences reflects modern West Coast architecture style. Inside, homes feature open living spaces and sophisticated interior design details including smooth stone counters, laminate wood flooring with radiant in-floor heating, custom cabinetry and sleek stainless steel appliances. Residents will also enjoy access to an onsite fitness studio and social room. Situated across from Waterfront Park and just a short walk from the Lonsdale Quay on the water, West Quay is just steps away from great local markets, the SeaBus, cafes and shopping. Also close by are the endless adventure opportunities at the local mountains and top-ranked golf courses. Want to get to Vancouver’s bustling downtown core but can’t make the SeaBus? There’s plenty of other convenient transit and commuter routes nearby. Watch the neighbourhood video below for more info. West Quay will be open for previews beginning at noon on Saturday, February 14th at 21 Lonsdale Avenue, North Vancouver. To be among the first to know when the sales program will begin, register here. 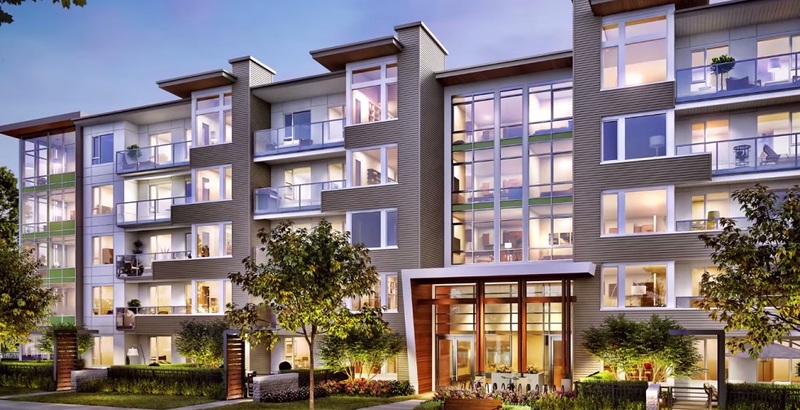 For more information call 604 871 4474, email westquay@polyhomes.com or visit the website here.